ZOU Inc was established as a graphic designs company based in Tokyo, Japan. We have been specialized in 2D/3D graphic designs and also been providing designs to various famous companies in Japan as well as the jobs that are on-going. Aside from the graphic designs, we are also involved in virtual reality which is the latest technology and we could expect to see many more innovative uses for the technology in the near future. We also have joint venture experiences in making games that widely accepted by the Japanese market. Our company has various connections to some corporations in Japan, such as Sony Interactive Entertainment and others, which will be advantages for developing games and marketing in Gaming and VR Industry as well as publishing game to the Japanese market. We also having our in-house VR game development team that has many years experience in developing games. Our mission is to develop quality games and publish to the market while our vision is to become the leading company in Virtual Reality market in Japan. Our mission is to continuously develop quality games and publish great games to the market that will widely accepted by local or global market. 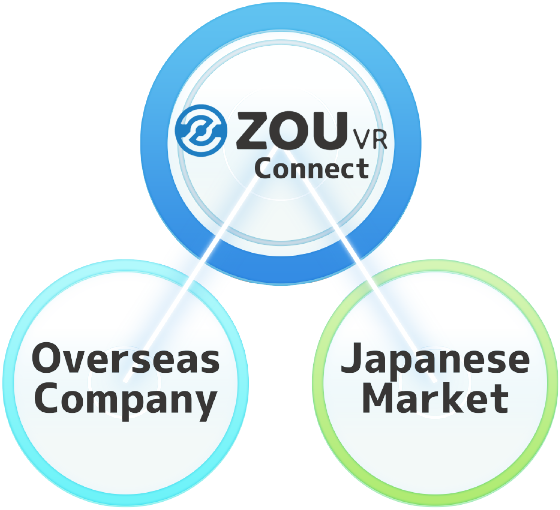 Our vision is to become the leading company in Virtual Reality market in Japan, a position of developing VR contents and publishing great contents to market and bring benefits to all alliances by monetizing plan.